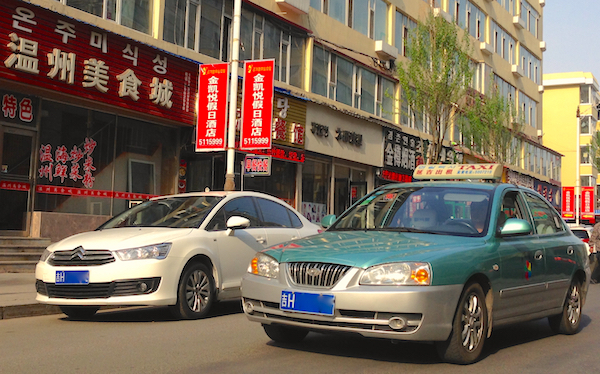 After Changchun, we hop on a short 45 mins flight to Yanji, capital of the little-known Yanbian Korean Autonomous Prefecture, next to the North Korean border. 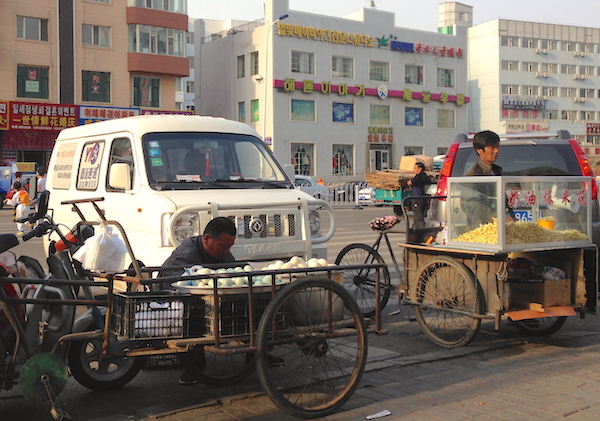 Yanbian was created in 1955 as a reward for Koreans who fought on the side of the communists in the Civil War and is the only minority prefecture in the north of China. Many Koreans refer to it as the ‘third Korea’, after the South and North, given it’s around half the size of South Korea, however it’s home to just two million inhabitants, including roughly 400.000 in Yanji. 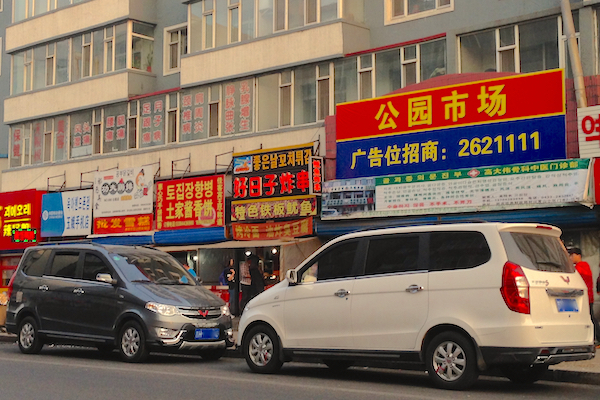 It’s a fascinating and unexpected experience to see most street signs including shops, restaurants and hotels bilingual in Chinese and Korean (and even Russian sometimes! ), newspapers in Korean and hearing Korean spoken instead of Chinese. As it has been the case for the Xinjiang province with the Uyghur population though, the percentage of ethnic Korean has fallen from 60% in the 1950s to 38% today. Yanji is roughly the same size as Kashgar (Xinjiang Uyghur) that I visited last year, however it is a lot less isolated and a lot more urbanised and as a result, while the Kashgar car landscape was 100% countryside with many pickups and micro- and minivans, in Yanji it’s very different. Firstly, apart from taxis that account for a good 25% of cars in circulation in the centre of town and composed at 75% of 2000 Hyundai Elantra (still sold in China – the rest are VW Jetta König), it is not the Korean car tidal wave I had expected. The Kia K3, Sportage R, Hyundai ix35 and Mistra are present in good numbers, but not much more than expected given their respective national rankings. 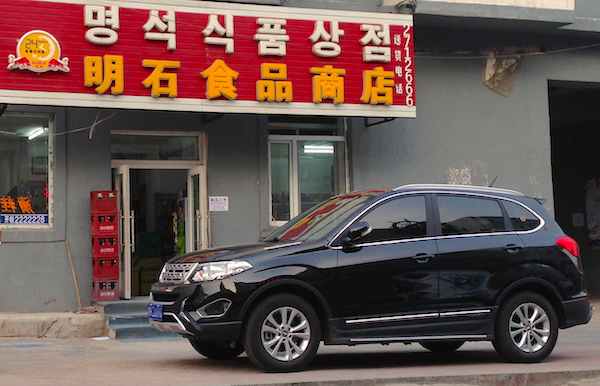 The Kia Sorento may have had its sales inflated by the proximity of Korea, but that would be about it. 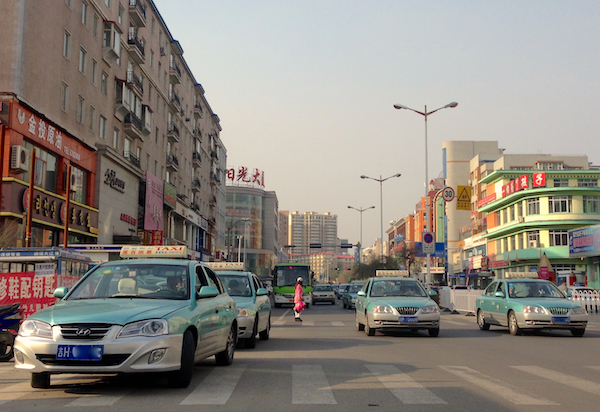 Chinese manufacturers represent roughly 1/3 of all cars in the centre of town (excluding taxis), a ratio that increases as we reach the outskirts of the city. 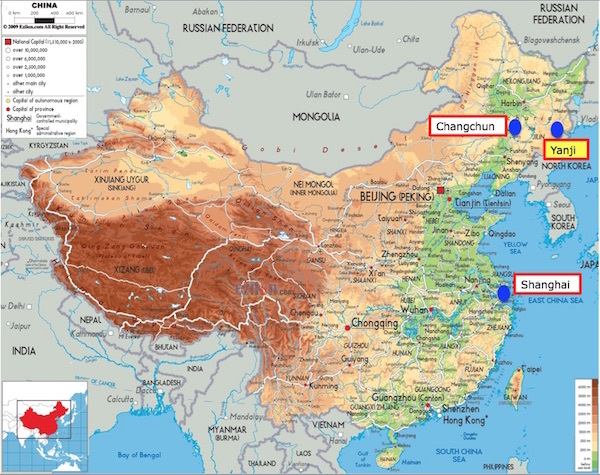 In any case, a slight improvement over the 25-30% of Changchun, with the added specificity that if in Shanghai (Roewe) and Changchun (FAW), one local carmaker clearly dominated, here the landscape is a lot more varied, with most main domestic manufacturers fairly well represented. 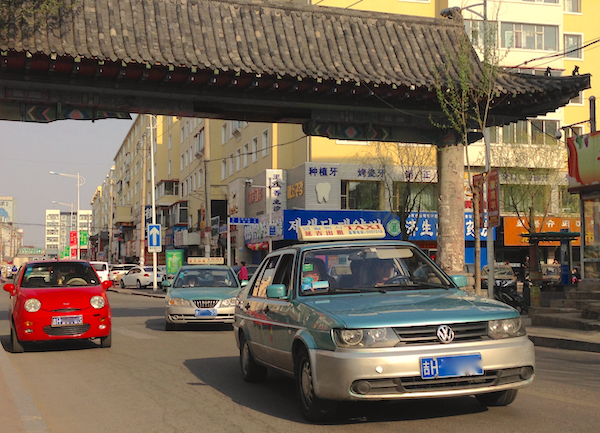 The Yanji car parc is quite markedly older than in Changchun where it seemed that almost every private car in circulation had been bought in the past year. Sedans rule by far, but are skewed towards smaller sizes and more affordable brands, a logical trend as we step out of the big cities and revenue per inhabitant goes south. SUVs are frequent but it’s not a craze yet, and we remain at a very low pickup ratio in the traffic, dominated by the Dongfeng Oting, JMC and Great Wall Wingle. Microvans however are back in force, but this time the brand spread is very high. 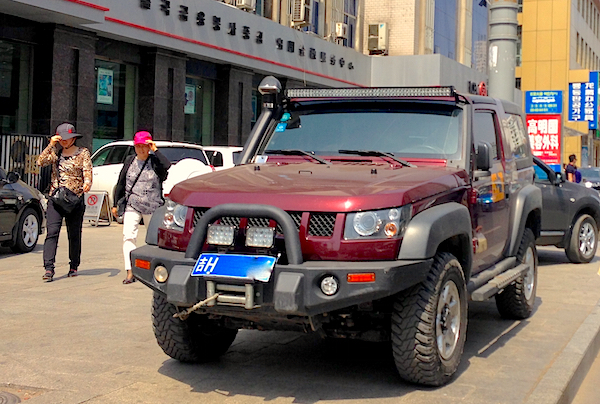 It’s not just Wulings and Chanas like we saw in Chongqing last year: other lesser-known models have their time in the limelight here: the FAW V70 is at its most popular anywhere I’ve been in China so far, and I spotted generous amounts of Dongfeng V07S, Beijing Auto Weiwang 205, Karry Youyi and various Jinbei and Hafei models. 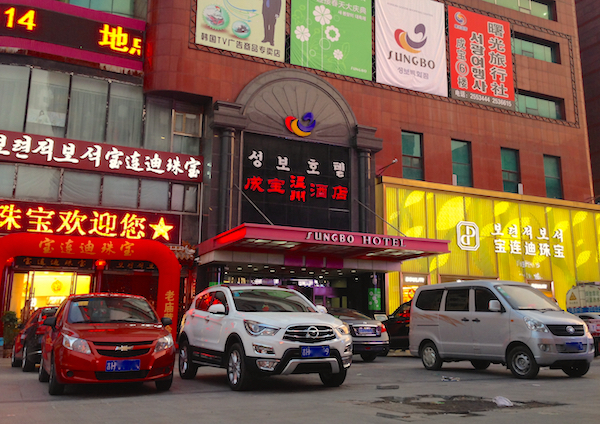 Overall though, the Wuling Hongguang should top the sales charts in Yanji, with the Chana Honor also strong and the Karry K50 starting to show itself. 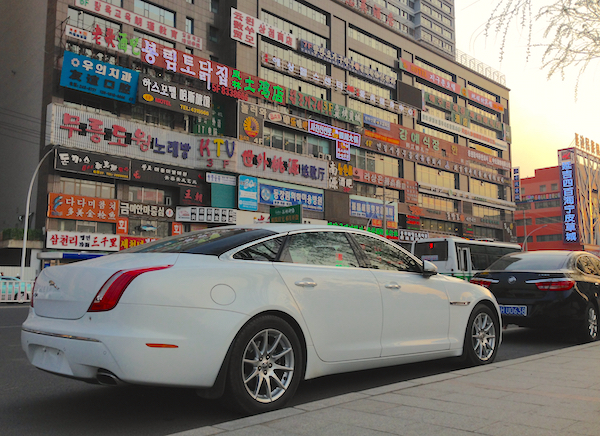 Two brands are clearly noticeable much more often in Yanji than in other Chinese cities I have visited so far. 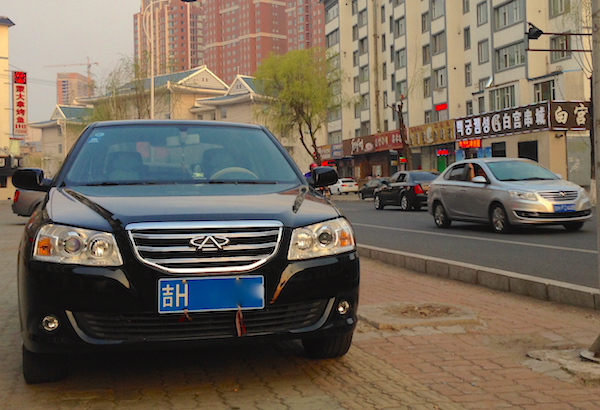 The first one is domestic manufacturer Chery. I am willing to bet the 2013 Chery QQ ranks inside the Top 5 in Yanji, with the Tiggo3 inside the Top 10 and the Tiggo5 and E3 small sedan inside the Top 15. That’s a spectacular success for a brand that has been relatively discreet on the national stage for the past couple of years. The Fulwin 2 hatchback is also a very frequent sight. 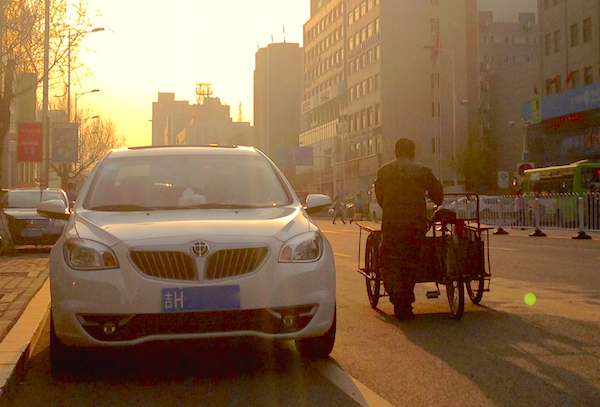 But the most interesting element about Chery’s success in Yanji is that it seems to be relatively recent, as there is no significant heritage of previous generations QQ or Tiggo. If this is true, it would make for a very interesting insight as it shows a Chinese brand is reclaiming lost territory in the sedan and SUV segments with low-end models. 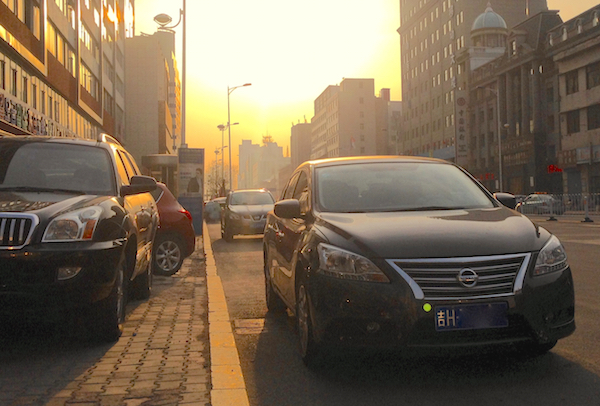 Cities like Yanji are the reason why affordable sedans like the E3 are manufactured by Chinese manufacturers, even though their success nationally is relatively limited. These aren’t successful in the big cities but the smaller ones, and they are the ones where new car sales are growing the fastest. The second brand that captured my attention by its unusual frequency – albeit at a much lower level than Chery – is Citroen, in particular with the C-Quatre hatchback and sedan very successful here. This is in contrast with Peugeot, almost inexistent bar one single 408 and a couple of 2008. 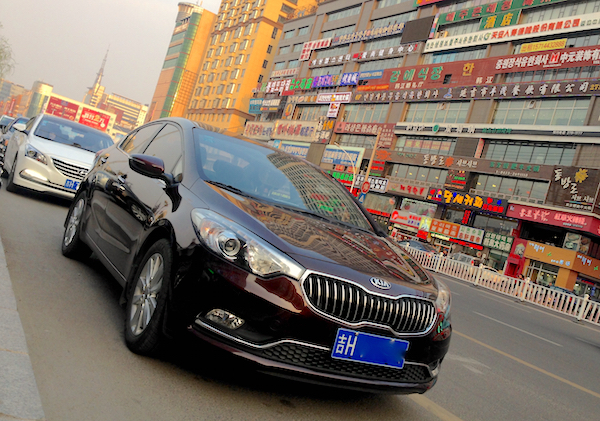 Adequately, I saw the first DS 5LS of this trip in Yanji. 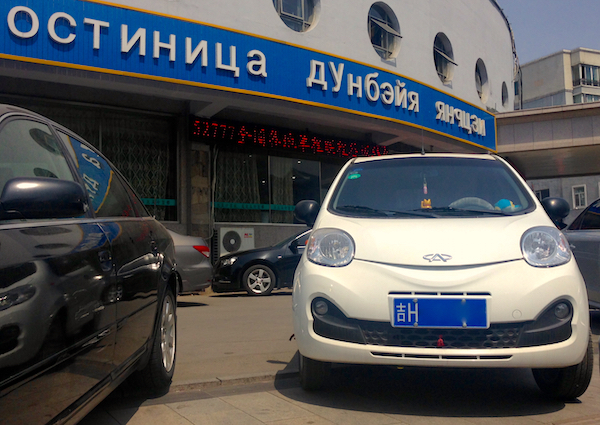 Back to the Chinese: Apart from the QQ, Yanji consumers are avid buyers of all its minicar competitors: the BYD F0, JAC A10 or ChangAn Benben are all popular here. 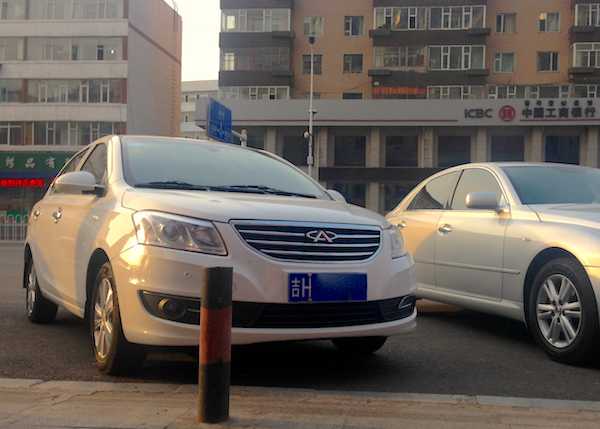 ChangAn does very well indeed in Yanji, with also a very strong heritage of CX20, the CS35 very well established and the CS75 becoming quite frequent already. Brilliance also made itself noticed with the V5 SUV (I spotted 3 in a matter of metres) and the H330 sedan. 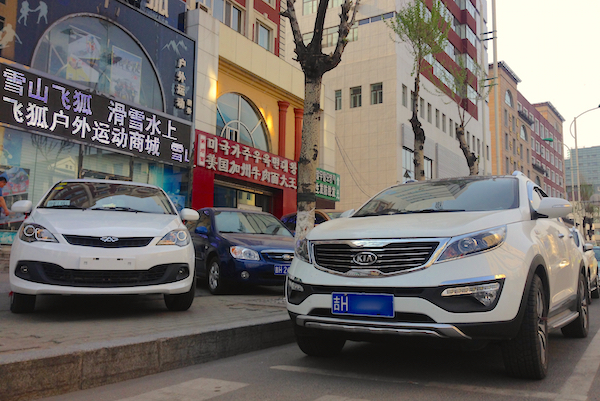 The FAW Besturn X80 is once again among the best-selling SUVs in Yanji – although a lot weaker than in Changchun. I spotted two BAW BJ40 and the first Leopaard Q6 of the trip (Facelifted Pajero), and half of all Police sedans are Haima Family – the other half being VW Jetta König. Finally, there is a very solid heritage of Great Wall M4, C20R and C30. Now that these models are being phased out, it will be interesting to see where these specific consumers (mainly women from what I saw) report their next sales. The Haval H1 would come in first line, but the door is open for other domestic manufacturer to win the sale. The full Photo Report (30 pictures overall) is below.